Bruxism is defined as the repetitive jaw muscle activity characterized by the clenching or grinding of teeth. It can be categorized into awake and sleep bruxism (SB). Frequent SB occurs in about 13% of adults. The exact etiology of SB is still unknown and probably multifactorial in nature. Current literature suggests that SB is regulated centrally (pathophysiological and psychosocial factors) and not peripherally (morphological factors). Cited consequences of SB include temporomandibular disorders, headaches, tooth wear/fracture, implant, and other restoration failure. Chairside recognition of SB involves the use of subjective reports, clinical examinations, and trial oral splints. 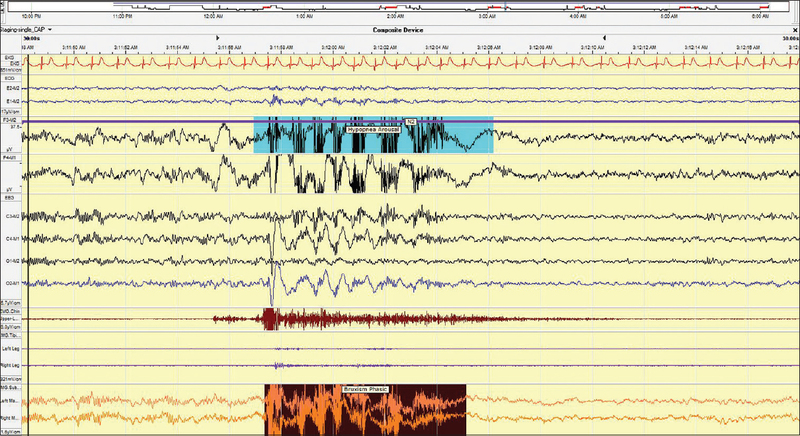 Definitive diagnosis of SB can only be achieved using electrophysiological tools. Pharmacological, psychological, and dental strategies had been employed to manage SB. There is at present, no effective treatment that “cures” or “stops” SB permanently. Management is usually directed toward tooth/restoration protection, reduction of bruxism activity, and pain relief. Introduction : In teeth with irreversible pulpitis, successful local anesthesia is hard to achieve irrespective of the amount of local anesthesia and technique used. Such cases can be managed by concoction of pre-medications like anxiolytics, analgesics and effective local anesthesia. 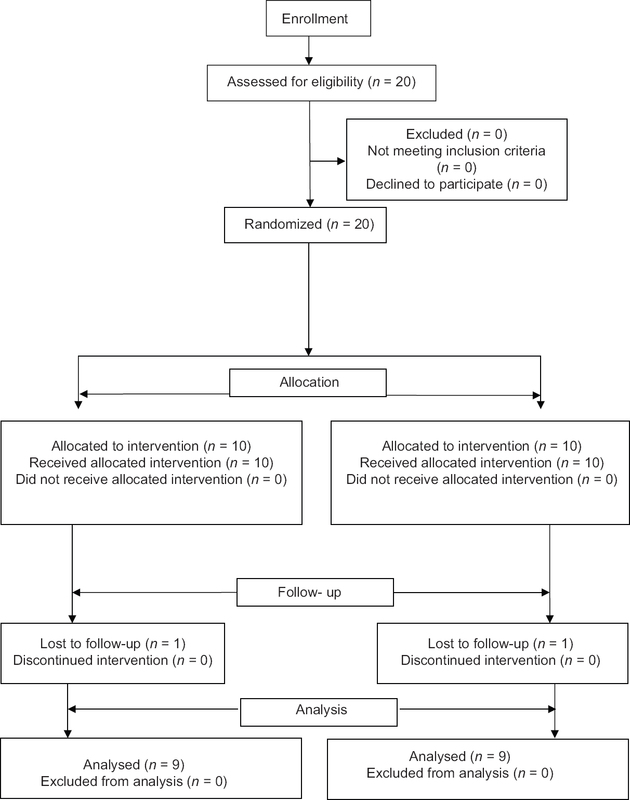 This double-blind, placebo-controlled study was planned to evaluate the effect of oral administration of alprazolam and diclofenac potassium on the success rate of inferior alveolar nerve block (IANB), Gow-Gates (GG) and Vazirani-Akinosi (VA) techniques for the root canal treatment of mandibular molars with irreversible pulpitis. Method : 198 emergency patients with symptomatic irreversible pulpitis were randomly divided into three groups as – A, B and C receiving IANB, GG or V-A respectively using 2% lidocaine with 1: 100,000 epinephrine. These groups were sub-divided into sub-groups I and II as control and pre-medication groups. Patients who did not react to the stimulus made by an explorer between the canine and first premolar and showing subjective lip and tongue numbness were included in the study. Result : All sub-groups showed statistically significant reduction in VAS score. However sub-groups V and VI (that is GG with and without pre-medication respectively) showed best improvement in initial severe pain in mandibular molars with irreversible pulpitis. Moreover, all pre-medication sub-groups showed better pain control compared to respective control groups. Conclusion : It was concluded that use of pre-medications in the form of combination of anxiolytics and analgesics improves the success rate of local anesthesia in teeth with irreversible pulpitis. Use of anxiolytics eases the patient in endodontic emergencies. Also use of GG along with pre-medication is the best method for effective pain management of acute pain in irreversible pulpitis. Aim: This study aims to compare the periapical healing of teeth with asymptomatic apical periodontitis treated either by conventional apical preparation (CAP) or apical clearing technique (ACT). Materials and Methods: T wenty subjects with bilateral nonvital similar teeth exhibiting comparable periapical index (PAI) score were enrolled and randomly allocated. Group I (CAP, n = 20): Apical preparation three sizes greater (master apical file [MAF]) than the first binding file at the established working length. Group II (ACT, n = 20): Apical preparation three sizes greater than the MAF that was followed by dry reaming. Root canal therapy was accomplished in single-visit for all the teeth. They were pursued radiographically at 3, 6, 9 and 12 months. Pre- and post-treatment PAI scores were compared. To ascertain the proportion of healed teeth between the two groups, McNemar Chi-square test was applied. 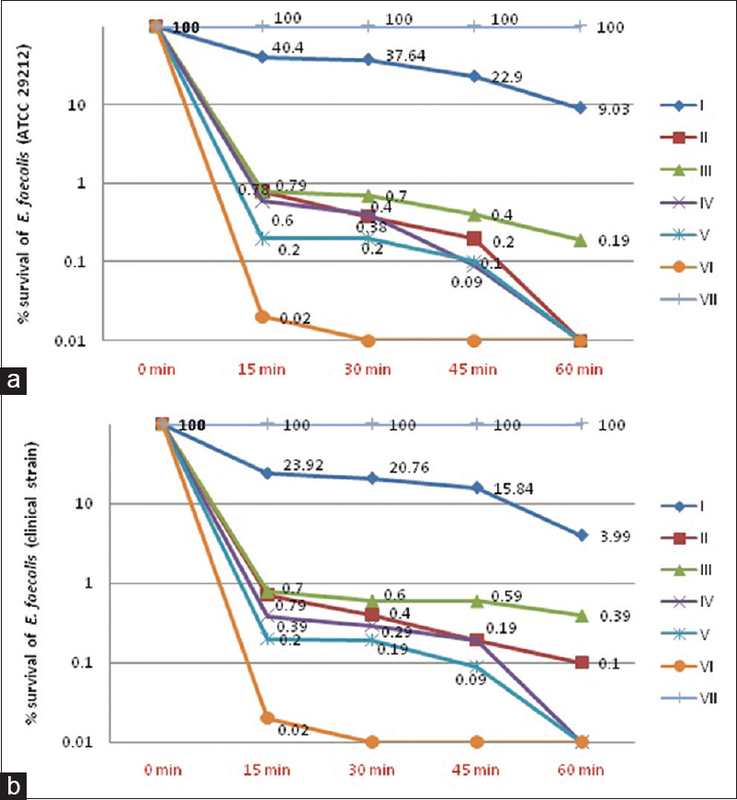 Results: At 3, 6, and 9 months' time interval the proportion of healed teeth for Group II (ACT) was greater in comparison to Group I (CAP) (P < 0.05). However, at 12 months follow-up period this difference was not significant (P = 0.08). Conclusion: ACT enhanced the healing kinetics. However, the long-term (12 months) radiographic outcome was similar for either technique. Introduction: Accurate determination of working length (WL) is a critical factor for endodontic success. This is commonly achieved using an apex locator which is influenced by the presence or absence of the apical constriction. Hence, this study was done to compare the accuracy of two generations of apex locators in teeth with simulated apical root resorption. Materials and Methods: Forty maxillary central incisors were selected and after access preparation, were embedded in an alginate mold. On achieving partial set, teeth were removed, and a 45° oblique cut was made at the apex. The teeth were replanted and stabilized in the mold, and WL was determined using two generations of apex locators (Raypex 5 and Apex NRG XFR). Actual length of teeth (control) was determined by visual method. Statistical Analysis: Results were subjected to statistical analysis using the paired t-test. Results: Raypex 5 and Apex NRG was accurate for only 33.75% and 23.75% of samples, respectively. However, with ±0.5 mm acceptance limit, they showed an average accuracy of 56.2% and 57.5%, respectively. There was no significant difference in the accuracy between the two apex locators. Conclusion: Neither of the two apex locators were 100% accurate in determining the WL. Introduction: The main objective of adhesive dentistry is to create an effective, durable union between the tooth structure and restorative material. However, degradation of adhesive dentine interface remains largely responsible for the relatively short lifetime of tooth colored resin restoration. Aim: The aim of the study is to compare the dentin collagen stabilization property of Chlorhexidine (CHX) and Aloe barbadensis Miller using shear bond strength testing. Materials and Methods: Occlusal reduction was done in sixty extracted human mandibular molars to expose the mid coronal dentin and divided into three groups n = 20. 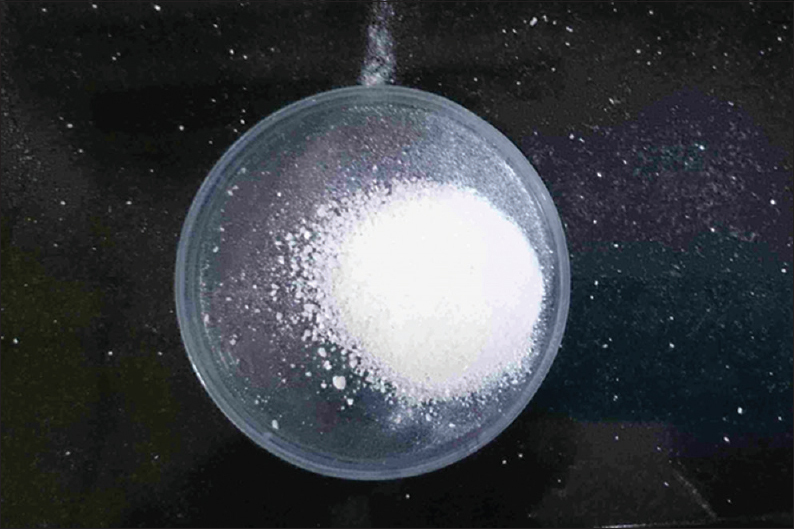 Following the surface pretreatment (Group 1 = control, Group 2 = CHX, Group 3 = Aloevera), dentine bonding agent and composite resin were applied and cured. The specimens were then subjected to shear bond strength testing. Results: From the results analyzed, it was noted that there was statistically significant difference between the groups Control and CHX and Control and A. barbadensis Miller (P < 0.05), specifically the values of Control < CHX and Control < A. barbadensis Miller (P < 0.05). However, there was no statistically significant difference between CHX and A. barbadensis Miller (P > 0.05). Hence, the following result for the shear bond strengths to dentin was obtained: Control < CHX ≈ A. barbadensis Miller. Conclusion: CHX and A. barbadensis Miller, as pretreatment agents of acid demineralized dentin collagen, has no adverse effect on the immediate shear bond strength of a two-step etch and rinse adhesive to dentin. Aim : The aim of the study is to evaluate the effect of ceramic type, thickness, and time of irradiation on degree of polymerization of dual-cure resin cement. Materials and Methods: Dual-cure resin cement (SoloCem) was used to prepare disk-shaped samples (0.5 mm thick × 5 mm diameter). Study group samples (n = 5) were light-cured for 40, 60, and 80 s through all ceramic leucite-reinforced (Cergo Kiss), lithium disilicate-reinforced (IPS e.max), and monolithic zirconia-reinforced (Ziecon) of three thicknesses (2, 3, and 4 mm). Negative control group samples were cured through metal disks and positive control samples were cured without the presence of ceramic. The degree of conversion (DC) was evaluated by Fourier transform infrared spectrometer. The recorded data were subjected to one-way analysis of variance, followed by post hoc analysis (Tukey HSD). Results and Conclusion: Greatest light transmission and DC were seen through Cergo Kiss, followed by IPS e.max Press and Ziecon, with insignificant difference between the latter two. 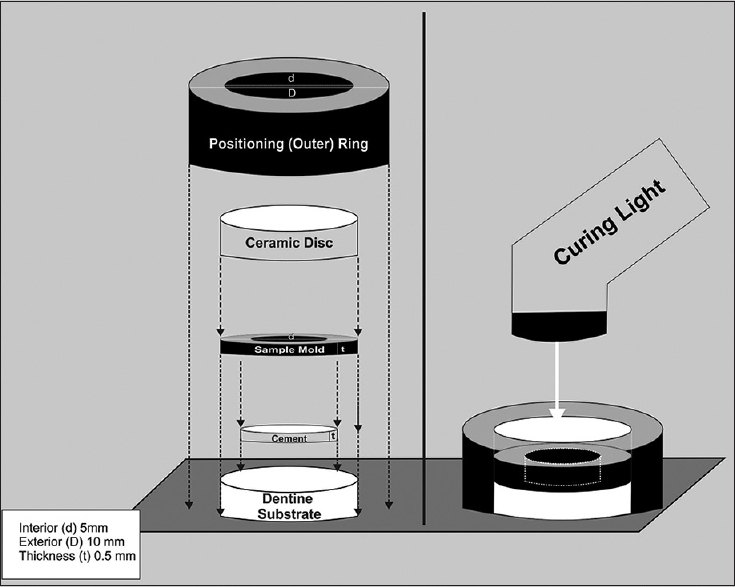 The attenuation of light irradiance increased with increasing thickness of ceramic disks, with statistically significant values between 3 and 4 mm. Increasing time of irradiation to cure dual-cure resin cement did not always result in greater degree of polymerization. 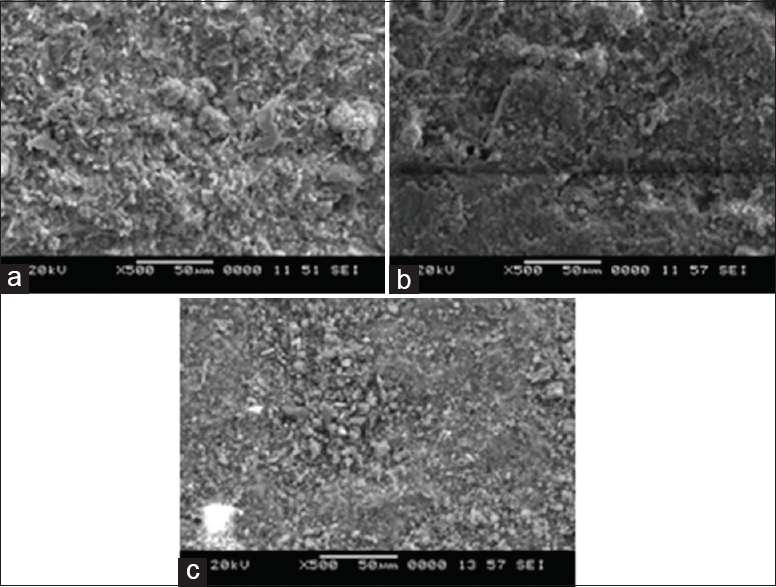 Aim: The aim of the present study was to evaluate whether the use of simplified ethanol-wet bonding (EWB) technique improved the immediate microtensile bond strength (μTBS) between resin composite and caries-affected dentin (CAD). 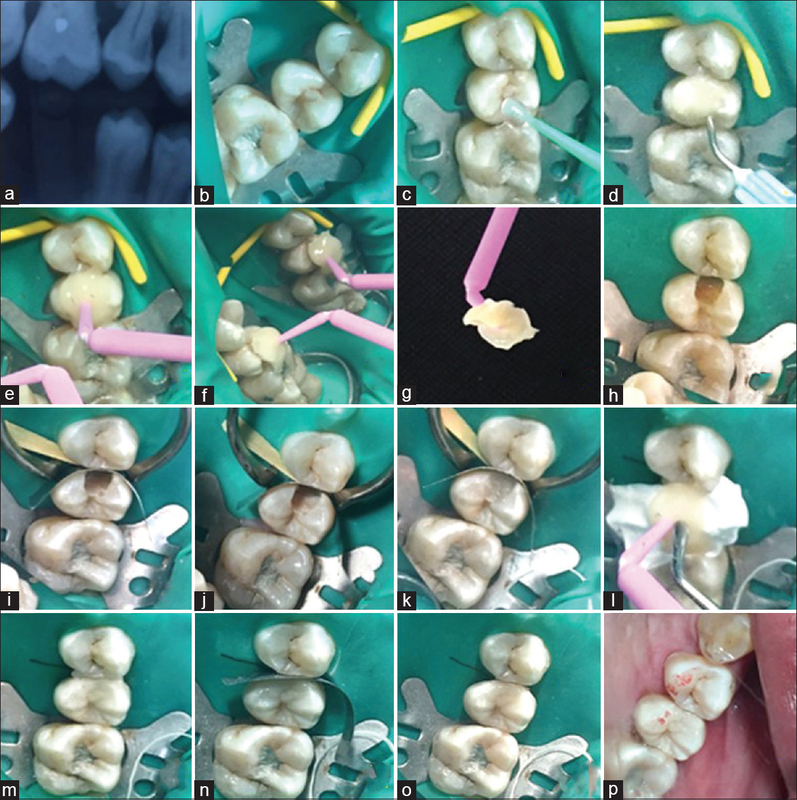 Materials and Methods: Twenty-four extracted carious human permanent molars were sectioned to expose the carious lesion. The carious dentin was excavated until CAD was exposed. The samples were divided into two groups: water-wet bonding with Adper Scotchbond Multi-Purpose and a simplified EWB (three 100% ethanol applications for 30 s each), followed by application of an experimental hydrophobic primer and restoration. The samples were vertically sectioned to produce 1 mm × 1 mm thick slabs. The normal dentin (ND) slabs and CAD slabs were identified and were subjected to μTBS evaluation. Slabs from four teeth (two from each group) were evaluated under microscope. Data were analyzed using two-way ANOVA and post hoc Holm–Sidak test at P< 0.05. Results: EWB improved the μTBS in ND but not in CAD group. The dentinal tubules in CAD group showed sclerotic activity with minimal or no hybrid layer. Conclusions: Simplified ethanol bonding does not improve the bond strength in CAD. Aim : To evaluate the effect of diode laser and ultrasonics with and without ethylenediaminetetraacetic acid (EDTA) on the smear layer removal from root canals. Materials and Methods : A total of 120 mandibular premolars were decoronated to working the length of 12 mm and prepared with protaper rotary files up to size F3. Group A canals irrigated with 1 ml of 3% sodium hypochlorite (NaOCl) followed by 3 ml of 3% NaOCl. Group B canals irrigated with 1 ml of 17% EDTA followed by 3 ml of 3% NaOCl. Group C canals lased with a diode laser. 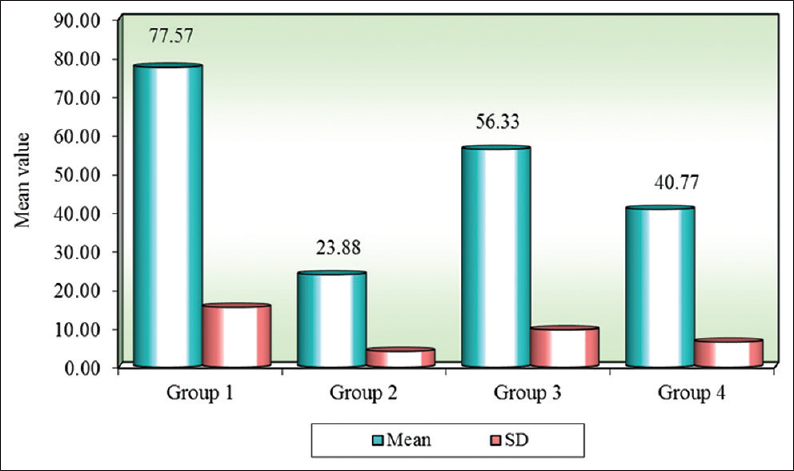 Group D canals were initially irrigated with 0.8 ml of 17% EDTA the remaining 0.2 ml was used to fill the root canals, and diode laser application was done. Group E canals were irrigated with 1 ml distilled water with passive ultrasonic activation, followed by 3 ml of 3% NaOCl. Group F canals were irrigated with 1 ml EDTA with passive ultrasonic activation, followed by 3 ml of 3% NaOCl. Scanning electron microscope examination of canals was done for remaining smear layer at coronal middle and apical third levels. 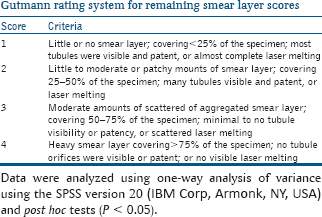 Results : Ultrasonics with EDTA had the least smear layer scores. Conclusion: Diode laser alone performed significantly better than ultrasonics. Aim: To investigate the effect of bleaching agents having a neutral pH on the surface of mineral trioxide aggregate (MTA) used as a coronal seal material for nonvital bleaching, beneath the bleaching agent, with the help of energy dispersive X-ray microanalysis and scanning electron microscopy (SEM). Materials and Methods: Six samples of plastic tubes filled with white MTA (Angelus white) were kept in 100% humidity for 21 days. Each sample was divided into 2 and made into 12 samples. These were then divided into three groups. Group A was exposed to Opalescence Boost 40% hydrogen peroxide (HP) (Ultradent). Group B to Opalescence 10% carbamide peroxide (Ultradent) and Group C (control group) not exposed to any bleaching agent. After recommended period of exposure to bleaching agents according to manufacturers' instructions, the samples were observed under SEM with an energy dispersive X-ray microanalysis system (JSM-6380 LA). Results: There were no relevant changes in color and no statistically significant surface structure changes of the MTA in both the experimental groups. Conclusion: The present findings suggest that even high concentration HP containing bleaching agents with neutral pH can be used on the surface of MTA without causing structural changes. The superior sealing ability of MTA and the high alkalinity would prevent cervical resorption postbleaching. Aim: The aim of this study was to measure the increase in root canal surface area and canal transportation after biomechanical preparation at 1, 3, and 5 mm short of the apex with three different rotary systems in both continuous rotary and reciprocating rotary motions. Materials and Methods: Sixty freshly extracted human mandibular molars with mesial root canal curvatures between 20° and 30° were included in the study. Teeth were randomly distributed into three groups (n = 20). Biomechanical preparations were done in all the mesial canals. In Group 1, instrumentation was done with ProTaper universal rotary files, Group 2, with K3XF rotary files, and Group 3, with LSX rotary files. Each group was further subdivided into subgroups A and B (n = 10) where instrumentation was done by continuous rotary and reciprocating rotary techniques, respectively. Increase in root canal surface area and canal transportation was measured using the preoperative and postoperative cone-beam computed tomography scans. Statistical Analysis : The data were analyzed by one-way ANOVA followed by Tukey pairwise multiple comparison tests. Results: Increase in root canal surface area was significantly more (P < 0.05) in ProTaper and K3XF groups when compared to LSX group. Canal transportation was significantly more (P < 0.05) in ProTaper group when compared to K3XF and LSX groups. There was no significant difference (P > 0.05) in increase of root canal surface area and canal transportation between continuous rotary and reciprocating rotary techniques for ProTaper Universal, K3XF and LSX groups. Conclusion: LSX rotary system showed minimal increase of root canal surface area and minimal canal transportation when compared to ProTaper and K3XF rotary systems. Aims: To compare the canal transportation, centering ability, and remaining dentin thickness of WaveOne and ProTaper systems using cone beam computed tomography. Subjects and Methods : Forty extracted human single-rooted premolars were used in the present study. Preinstrumentation scanning of all teeth was taken; canal curvatures were calculated, and the samples were randomly divided into two groups, with twenty samples in each group; one group was instrumented with WaveOne system and the other group with ProTaper rotary system. Postinstrumentation scans were performed, and the two scans were compared to determine canal transportation, centering ability, and remaining dentin thickness at 3 mm, 6 mm, and 9 mm from the root apex. Statistical Analysis Used: Student's unpaired t-test. Results: Using Student's unpaired t-test, results were as follows: for canal transportation, Group 1 showed significant difference at 3 mm and 6 mm and insignificant difference at 9 mm while Group 2 showed insignificant difference in all the three regions. For centering ability and remaining dentin thickness, Group 1 showed insignificant difference at 3 mm and 9 mm while significant difference at 6 mm was obtained. When comparison of remaining dentin thickness was done at three levels using two groups WaveOne and ProTaper, there was no significant difference between two groups. Conclusions: (1) WaveOne single reciprocation file system respected better canal anatomy better than ProTaper. (2) Individually, centering ability of WaveOne was better at 3 mm, 6 mm, and 9 mm levels. (3) However, ProTaper individually was better centered at 3 mm (apical third) and 9 mm (coronal 3rd) levels than 6 mm level (middle third). Aim: To compare the vitality of Enterococcus faecalis within dentinal tubules after subjected to five root canal disinfection methods. Materials and Methods: Dentin blocks (n = 60) were colonized with E. faecalis. After 4 weeks of incubation, the dentin blocks were divided into one control and five test groups (n = 10 each). The root canals of test groups were subjected to one of the disinfection methods, namely, normal saline (NS), sodium hypochlorite (NaOCl), chlorhexidine digluconate (CHX), neodymium-doped yttrium aluminum garnet (Nd: YAG) laser, and diode laser. The effect of disinfection methods was assessed by LIVE/DEAD BacLight stain under the confocal laser scanning microscopy to determine the “zone of dead bacteria” (ZDB). Mean values were calculated for ZDB and the difference between groups was established. Results: Penetration of E. faecalis was seen to a depth of >1000 μm. Viable bacteria were detected with NS irrigation. NaOCl and CHX showed partial ZDB. When the root canals were disinfected with Nd: YAG and diode lasers, no viable bacteria were found. Conclusion: E. faecalis has the ability to colonize inside dentinal tubules to a depth of >1000 μm. In contrast to conventional irrigants, both Nd: YAG and diode lasers were effective in eliminating the vitality of E. faecalis. NS, NaOCl, and CHX showed viable bacteria remaining in dentinal tubules. Background and Objectives: The aim of the study was to determine the effect of two access cavity designs on the peri-cervical dentin thickness before and after instrumentation using cone beam computed tomography (CBCT). Materials and Methods: Sixty mandibular anterior teeth were divided into two groups of thirty teeth each: Group I: conventional access cavity preparation, where access was prepared just above the cingulum and Group II: incisal access cavity preparation, where access was prepared in proximity to the incisal edge. CBCT scans were taken preoperatively, following access cavity preparation and post instrumentation. 200 μm thick slices were obtained 4mm apical and coronal to the cemento-enamel junction. The peri-cervical dentin thickness was calculated on the facial, lingual, mesial, and distal for all the three obtained scans. Results: The analysis showed that access cavity preparation and instrumentation resulted in a significant loss of tooth structure in Group I on all surfaces, but in Group II, there was a significant loss of tooth structure only in the mesial, lingual, and distal surfaces (P < 0.05). Conclusion: Incisal access cavity preparation resulted in lesser loss of dentin in the peri-cervical region. Aim : The aim of this study was to evaluate the effect of dentin on the antimicrobial efficacy of 3% sodium hypochlorite, 2% chlorhexidine, 17% EDTA and 18% etidronic acid against C.albicans. Methodology: Dentin powder was prepared from mandibular first premolar using electrical grinder and sterilized. 3% NaOCl, 2%CHX, 17% EDTA and 18% etidronic acid were tested against C.albicans in the presence and absence of dentin, in eppendorf tubes. Group 1 (presence of dentin):- 100ul dentin powder + 100ul C.albicans suspension + 100ul irrigating solution. Group 2 (absence of dentin):- 100ul C.albicans suspension+ 100ul irrigating solution. Control group:- 100ul C.albicans suspension.+ 100ul sterile saline Suspension was thoroughly mixed, submitted for serial dilution upto10-5 after 1 min and colony forming units were counted. Results: In group 2 (without dentin powder), 3% NaOCl and 2% CHX showed the lowest bacterial count compared to group 1 (with dentin powder). Dentin had a significant inhibitory effect on 3% NaOCl (P<0.001) and 2% CHX (P<0.001). 17% EDTA showed lowest bacterial count in group 1 (with dentin powder) compared to group 2 (without dentin powder). 18% Etidronic acid showed similar bacterial counts in the both the groups. No reduction was observed in the control group. Conclusion: NaOCl & EDTA showed measurable antimicrobial effect even in the presence of dentin which can be promising in the reduction of C.albicans in root canal therapy. Aim: To compare the bond strength of four different endodontic sealers to root dentin through push-out test design. Materials and Methods: Forty single-rooted teeth with completely formed apices were selected. Teeth were decoronated, and working length was determined. Instrumentation and irrigation were performed. The teeth were divided into four groups based upon the sealer used. Group 1: Bioceramic sealer (Endosequence), Group 2: Mineral trioxide aggregate (MTA) based sealer (MTA Fill apex), Group 3: Epoxy resin based sealer (MM-Seal), and Group 4: Dual cure resin-based sealer (Hybrid Root Seal). Manipulation and application of the sealer was done as per the manufacturer instructions. All the teeth were obturated using 6% gutta-percha. After obturation, each tooth was prepared for push-out test with root slices of 2 mm thickness using universal testing machine. Results: The highest bond strength was found in Group 1 (Endosequence) (P < 0.05) compared to other groups. The lowest bond strength was found in Group 2 (MTA Fill apex). Statistical analysis is done by two-way ANOVA and Newman-Keuls multiple post hoc. Conclusion: The push-out bond strength of Bioceramic sealer was highest followed by resin-based sealer and lowest bond strength was observed in MTA-based sealer. Background: One current strategy for the treatment of carious lesions is the use of biomaterials with antimicrobial activity. Aims: The aim of this study was to evaluate a combination of hydroxyapatite and lysozyme for the treatment of dentinal caries by measuring Streptococcus mutans counts before carious tissue sealing, and 24 h, 1 month, and 6 months after treatment. Materials and Methods: Forty permanent third molars were selected, and flat dentin surfaces were prepared. The teeth were exposed to a cariogenic challenge with S. mutans. After challenge, the dentinal caries were collected from five specimens. The remaining specimens were treated with a mixture of hydroxyapatite and lysozyme in sodium laureth sulfate and sealed with composite resin. S. mutans counts were obtained 24 h, 1 month, and 6 months after sealing. Statistical Analysis: The results were evaluated by descriptive statistics and Wilcoxon signed-rank test. Results: a significant reduction in S. mutans (CFU/mL) was observed in dentinal lesions 1 month after treatment with hydroxyapatite/lysozyme in sodium laureth sulfate (P = 0.0254). Comparison of S. mutans counts obtained 24 h, 1 month, and 6 months after treatment revealed reductions only at the 1-month time point (P = 0.0318). Conclusions: the combination of hydroxyapatite and lysozyme may be an alternative for reducing the S. mutans burden in dentinal caries. Background: The Journal of Conservative Dentistry (JCD) has been online since 2008. Materials and Methods: This paper reviews the publication in this journal over a 5-year period (2011–2015). It assesses the types of articles published, coverage of various types of subjects of endodontics, and conservative dentistry in the journal and explores the authorship patterns in the publication and citation of the journal over this period. Results and Conclusion: JCD has delivered broad-based, balanced coverage of endodontics and conservative dentistry between 2011 and 2015, with contributions from all over India, as well as abroad. Although a maximum number of articles were from India, the publications from other countries are also on an increase. Thus, the widespread coverage of this journal suggests that JCD has begun to represent the global face of the Indian Association of Conservative Dentistry and Endodontics. 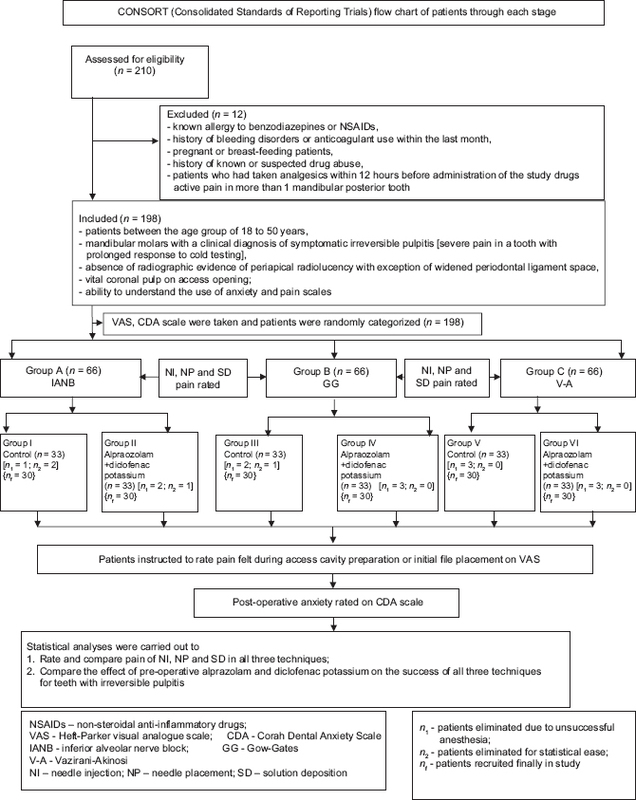 Objective: The objective of the study was to evaluate the effectiveness of chitosan and chitosan-ethylenediamine tetraacetic acid (EDTA) (3:1,1:1,1:3) in comparison with 5.2% sodium hypochlorite (NaOCl) in disinfecting Enterococcus faecalis biofilm on root canal dentin and in the removal of smear layer with minimal erosion. Materials and Methods: Seventy single-rooted extracted human mandibular premolars (n = 70) were selected for the study. Forty tooth samples were biomechanically prepared, vertically sectioned, and sterilized by autoclaving. 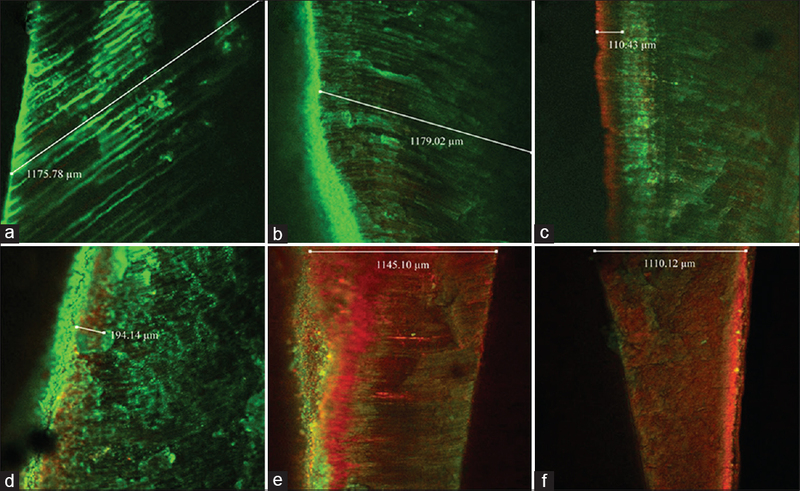 The tooth sections were artificially infected with E. faecalis (ATCC 29212 [n = 35] and clinical isolate [SBEF2, n = 35]) to form mature dentinal biofilm in vitro. The tooth samples were treated with the test solutions: chitosan and chitosan-EDTA (3:1, 1:1, 1:3), and the killing time was determined. The smear layer removal ability of the test solutions (Group A: chitosan-EDTA [1:1], Group B: EDTA, Group C: control) (n = 10 tooth/group) was assessed. Results: Chitosan and chitosan-EDTA (3:1, 1:1, 1:3) exhibited antibacterial activity against both the strains of E. faecalis. Chitosan and chitosan-EDTA caused 3 log reduction in the viable count of the sessile cells of E. faecalis at 15 min while 5.2% NaOCl exhibited 99.98% inhibition at 15 min. Chitosan-EDTA (1:1) was found to be effective in removing the smear layer and showed lesser erosion than EDTA at the coronal and middle portions. Conclusion: Chitosan-EDTA (1:1) is a potential root canal irrigant that performs a dual role – root canal disinfection and smear layer removal. Context: One of the goals of endodontic therapy is the shaping and cleaning of the root canal system. In recent years, there has been multiple systems instrumentation, and changes in their dynamics are central to maintain the original shape of the canal after preparation. 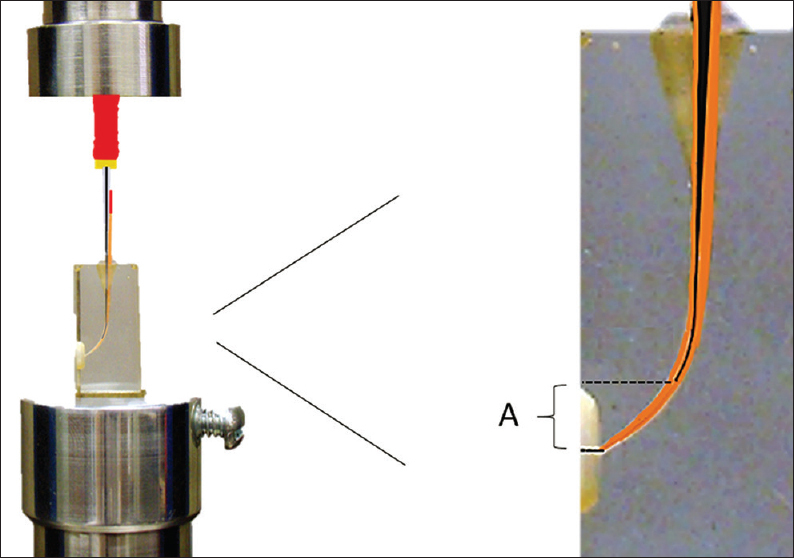 Aims: The aim of this study was to evaluate centering and transportation in curved root canals after using ProTaper® and MTwo® in continuous rotation, Reciproc® in reciprocating motion, and a step-down manual instrumentation technique. Settings and Design: Mesiobuccal roots of human extracted the first and second maxillary molars were selected and the canals (n = 60) were divided into four groups according to the preparation techniques: PT-ProTaper®; MT-MTwo®; RE-Reciproc®; MI-manual instrumentation. Subjects and Methods: The final apical diameter was standardized to a size 25. 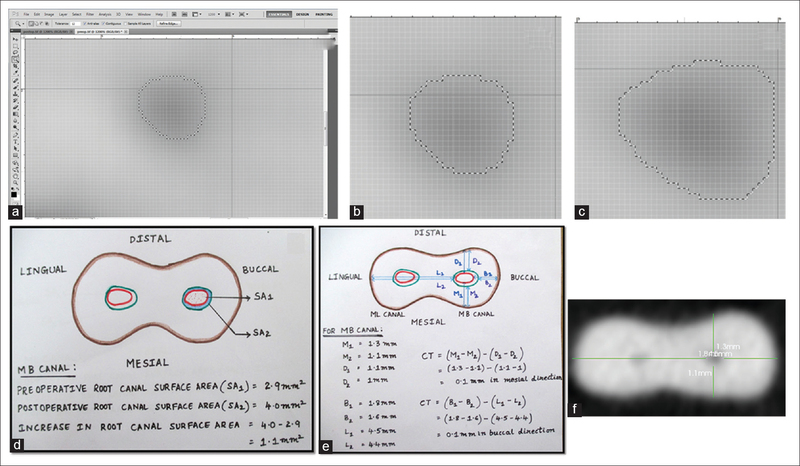 Centering and transportation were evaluated by cone-beam computed tomography and Adobe Photoshop 8.0 software. Statistical Analysis Used: The data were statistically analyzed by ANOVA and Tukey post hoc. Results: Results of transportation showed no statistical differences (P > 0.05) between groups, and significantly, difference (P < 0.05) between ProTaper® and Reciproc® was found when evaluating centering ability in the apical third. Conclusions: We concluded that there were no differences in transportation between the evaluated systems for the preparation of curved root canals with an apical instrumentation diameter of #25. For centering ability, in the apical third, ProTaper® presented worst behavior when compared to Reciproc®. Aim and Objectives : To evaluate the elution of bisphenol A-glycidyl methacrylate (BisGMA) and triethylene glycol dimethacrylate (TEGDMA) from two bulk-fill composites at different polymerization times, for different storage periods when cured with quartz-tungsten-halogen (QTH) curing unit. 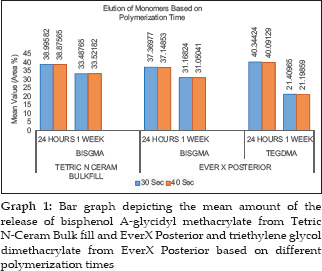 Materials and Methods : Tetric N-Ceram bulk fill and EverX Posterior were analyzed using high-performance liquid chromatography unit. Totally, 68 samples were prepared, two groups (n = 17) from both the composites, one for each tested polymerization time. Each sample was cured with a QTH curing unit, using soft-start curing technique and stored in 2 ml of ethanol for 24 h. Storage medium was renewed and then stored again for 1 week. Data acquired were statistically analyzed. Results : The elution of BisGMA was significantly higher from Tetric N-Ceram bulk fill and BisGMA and TEGDMA from EverX Posterior composite at the end of 24 h, irrespective of the curing time. In EverX Posterior, a higher amount of TEGDMA was eluted at the end of 24 h, while at the end of 1 week, significantly higher amount of BisGMA was released. Conclusion : A significant amount of the release of BisGMA as well as TEGDMA was seen from both the composites when stored for different time intervals. Dens invaginatus, also known as dens in dente, is a rare anomaly affecting human dentition. The condition results in invagination of an amelodental structure within the pulp. This case report discusses the current management protocol of dens invaginatus using a minimally invasive and nonsurgical treatment option. As with most conditions, early diagnosis and preventive measures help minimize complications in dens invaginatus cases.